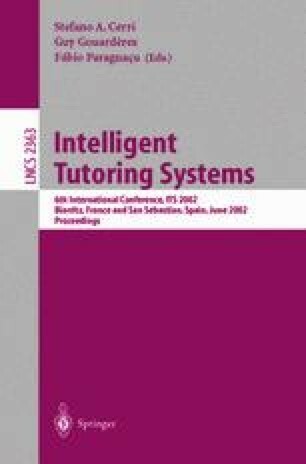 The initialization of the student model in an intelligent tutoring system is a crucial issue. It is not realistic to assume that each new student has the same prior knowledge concerning the topic being taught, be it nothing or some “standard” prior knowledge. We introduce CLARISSE, which is a novel categorization method. We illustrate this tool with the identification of categories among students for QUANTI, an intelligent tutoring system for the teaching of quantum information processing. In order to classify a new learner, CLARISSE generates an adaptive pre-test that can identify with high accuracy the learner’s category after very few questions. Biswas, G., Weinberg, J. and Fisher, D., “ITERATE: A Conceptual Clustering Algorithm that Produces Cohesive Clusters”, 1995, available on the Internet at URL: http://cswww.vuse.vanderbilt.edu/~biswas/Papers/kdd/iterate-oilabs.html.